It’s OFFICIAL … the slaughter season Sept 1, 2012 to February 25, 2013 is finally over! And what a relief that it has finally come to an end, as reported by the Sea Shepherd Cove Guardians currently on the ground in Taiji. 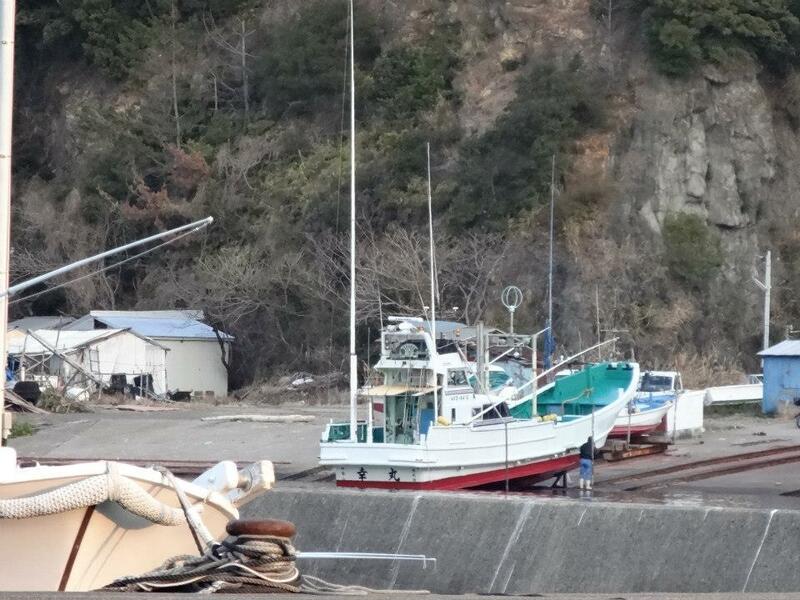 The killers take down “death door” of the Taiji butcher house, where hundreds of dolphins and pilot whale bodies were dragged through and then dismantled for human consumption. Then then the clean up inside begins … washing away blood, that was still present on the kill floor. 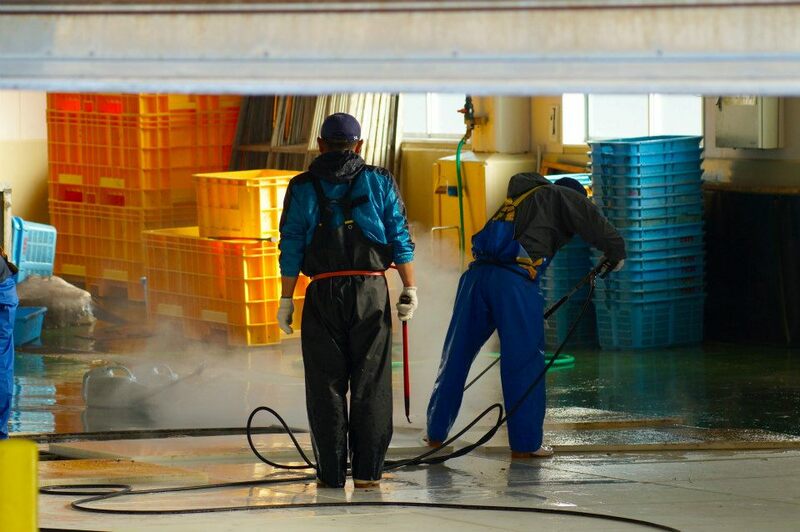 While the dolphin drive season has ended, the killing unfortunately does continue year round. Some boats, such as the one seen below are dry docked and maintenanced. 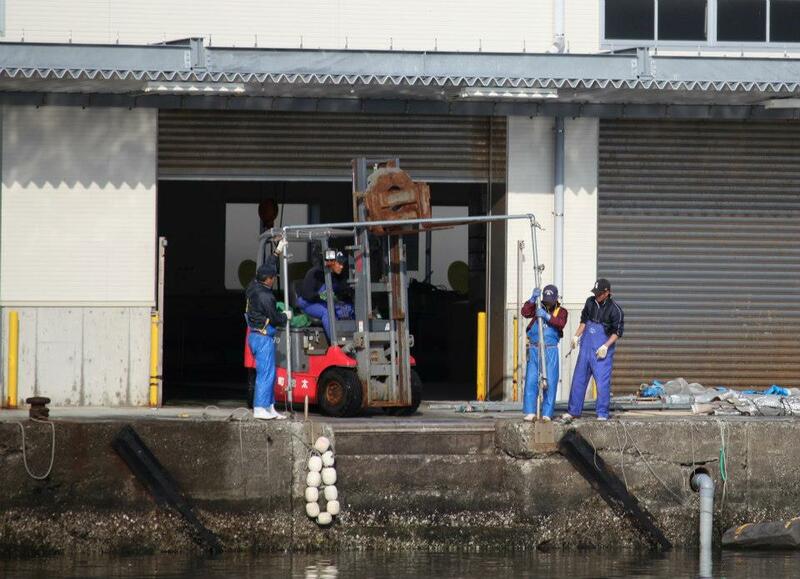 The dolphin killers remove the banger poles but leave them inside the boat to use during the off season. The killing boats are permitted to hunt pilot whales until May and also assist local fisherman with harpooning dolphins during the offseason. 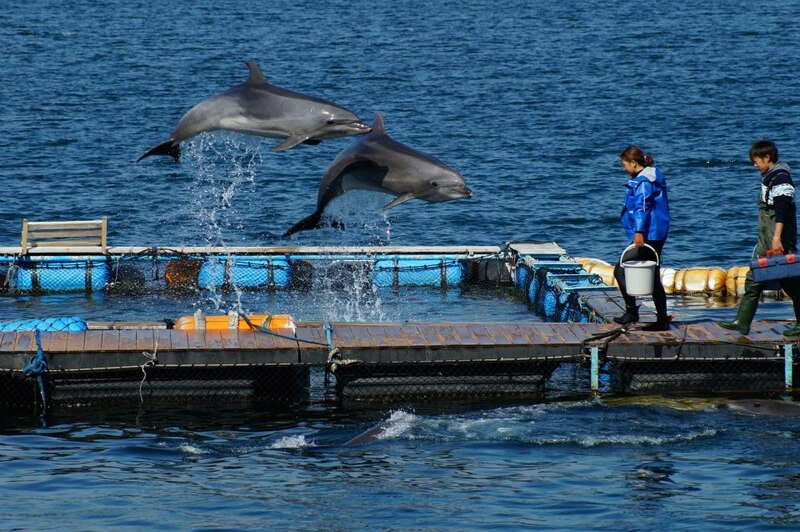 Even though the 2012-2013 hunt season has officially come to an end … I will not be able to forget the many dolphins taken captive this season who are deemed to live out their lives in a small pool performing tricks for survival, food and most of all … Human Entertainment. 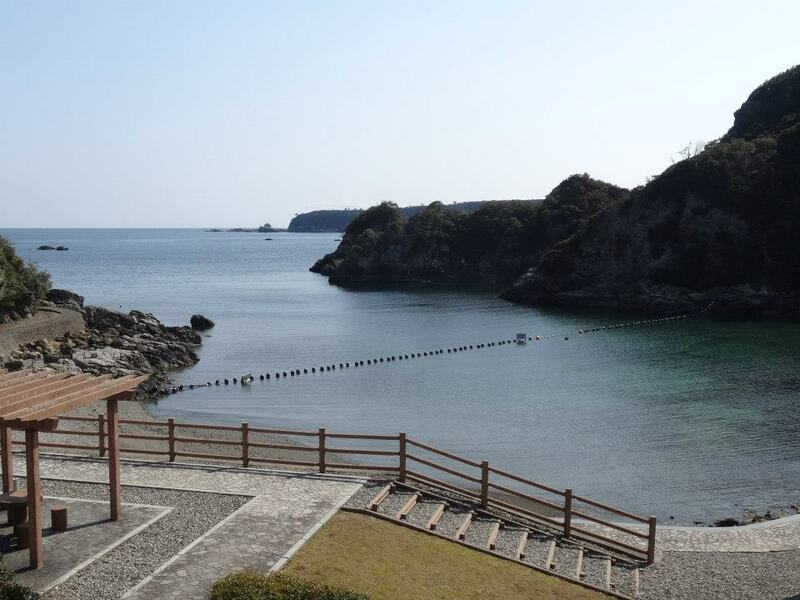 Now only one net remains at the cove and this is the view a tourist would see from the view. What a beautiful place this could be if it were not for the thousands of dolphins inhumanely slaughtered here each and every year. In the summer months, the infamous cove is filled with people. How someone would be able to swim in the waters of this dark ominous place baffles me. Perhaps it is because they unaware of what occurs here each year between September and March, but then again maybe they are aware? I’ll leave that debate up to all of you. 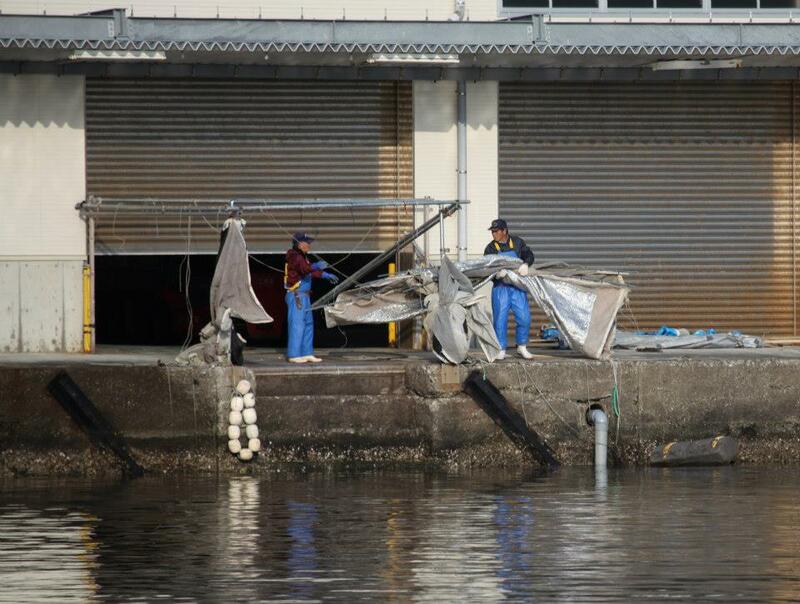 What is also heartbreaking is that there is often a captive dolphin taken to the cove. This unfortunate dolphin has to return to the place where it’s life was forever changed after witnessing the slaughter of the majority of it’s podmates and then being torn from a life of freedom in the wide open ocean. 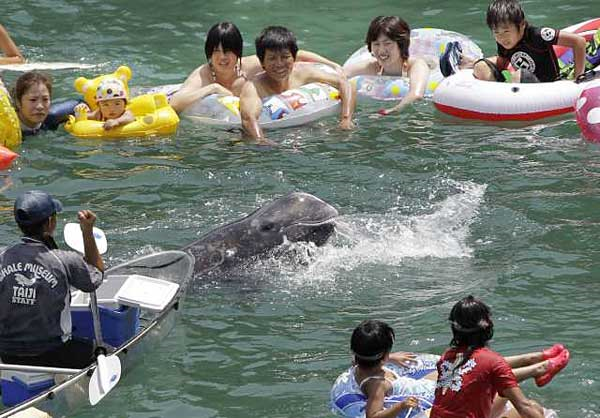 Perhaps it appears that people are having a good time, but really, look at that Risso dolphin … terrified and alone surrounded by unfamiliar people in an all too familiar place that represents the horror of Taiji!